Few days back, we mentioned about a stock, deodexed zipaligned ROM for the Samsung Galaxy Tab 3 10.1 P5210, where we said that you can just flash the ROM to attain root instead of rooting it the old fashioned way. Well, while you can still do that now, some of us like to stick with the good ‘ol official ROM. 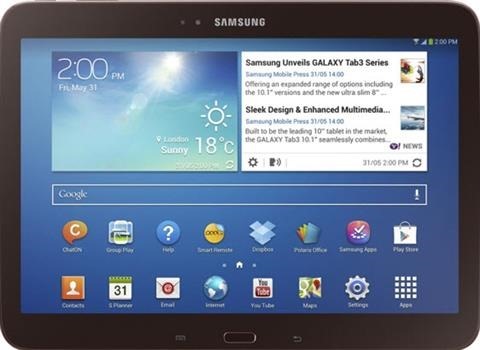 So, here are the steps on how to Root P5210 Samsung Galaxy Tab 3 10.1. First things first, this process will void your warranty. Now that you know it, let’s proceed. Download firmware from here and Odin 3.07 from here. Boot into download mode. (hold power and volume down together for few seconds). Make sure the checkbox re-partition is not checked. If you check it you will brick your Tab 3 10.1, which you would not want to happen. Click on Start button and wait for few seconds. If you are using P5220, flash the stock firmware from here and follow root instructions given here.